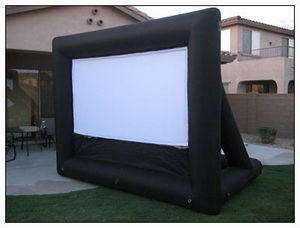 This Inflatable Movie Screen with Projector is front projecting only, comes with DVD player, projector and sound system. Works best when completely dark. Can be used for Indoor or outdoor events.